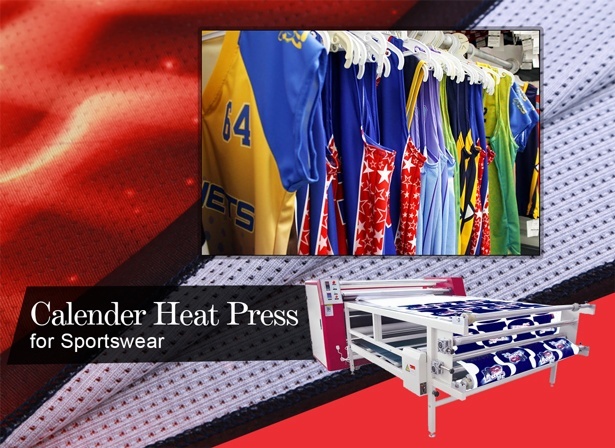 Rotary Heat Transfer Machine for Digital Printing -Fei Yue Digital Inc.
Rotary heat press machine is special design for those large but roll products, such as fabric, textile, curtain, mousepad, etc sublimation by oil roller drum heating, roller drum and fabrics should be same speed. 3. Oil heating,temperature uniformity (±1-2°C) no deviations of color. 4. Using imported heating presses,heat evenly,durable;imported blankets which is not easy to deviate. 5. The blanket is detachable,and not easy to burn;with belts putting device for installing and fixing the belts. 6. Without smoke and abnormal odour during working.